Your kingdom is being attacked by a horde of orcs, trolls and evil wizards. Fight on the paths by building turrets for your archers and wizards and throwing bombs. There are 30 achievements you can unlock. Protect your kingdom in this turn-based fighting game. Complete all ten missions. Your people have risen against you and are heading to your castle. Defend it and protect Doraen no matter what! Our favorite cartoon characters will fight an epic battle in this fun tower defense game. Choose your favorite one and defend your land from your enemies. Good luck! Grab your hammer and finish this adventure hit those who get in your way. In this version of classic SimCity you'll have to build a Medieval town! In this RPG you'll have to earn experience and find good weapons in order to become the most powerful in the kingdom. 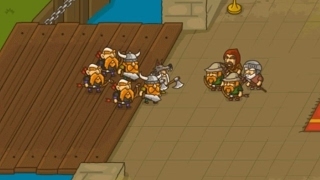 Create your army of vikings, manage your resources and lead your brave soldiers to take over new territories. 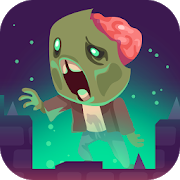 Defeat the most powerful enemies and return to your base in order to collect the taxes. Build an unstoppable army!